The MLB 15 The Show developers are making some changes to the marketplace and the economy by banning troll accounts, capping transactions and giving each user a 12k value back from a previous promotion! Checkout the details below! – Reintroducing Limited Time Equipment: “Stars and Stripes” and “Camo” equipment will be back in circulation for an indefinite amount of time. We always wanted to bring it back sometime, so why not now? Lots of limited time equipment was stock piled on troll accounts that have been banned, so we need more back in circulation anyway.- Everyone gets packs…again! Seeing everyone compare what they got from the “Baseball is Better” pack giveaway last week was fun… let’s do it again! This time, you will receive one random 12k value pack from previous limited time promotions (listed below) AND a Gold Sponsor Pack. 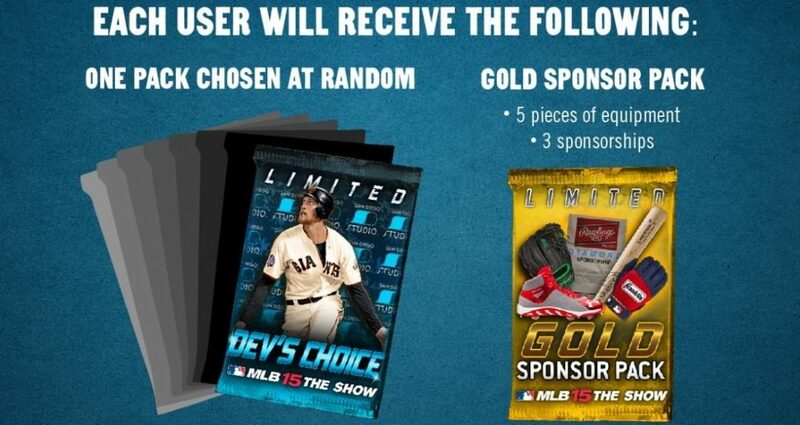 NOTE that with the reintroduction of Limited Time Equipment, the Gold Sponsor Pack may drop something special! – Cap on Stub Balance and Order Amount: We are setting a Stub Balance Cap at 10 million Stubs. If you had played 24 hours a day since the game launched you still would not have even a tenth of this cap. 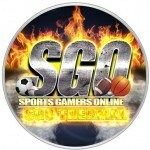 We are also reducing anyone with over 10 million Stubs to 10 million. This will put a ceiling on the negative affect any one troll could have on the marketplace and it only affects about .01% (1% of 1%) of users. The few affected will get a super awesome package of packs. We also have placed a cap on the max transaction amount to prevent outrageous orders that have no business being on the marketplace. Buy-Order Reset: In order to properly apply the Stub Balance Cap mentioned above, we have reset all Buy-Orders on the marketplace, returning posted Stubs to their owners. Marketplace Caps: transactions cannot exceed 500k Stubs. This happened a few days ago. We truly appreciate every fan that plays The Show. Every decision we make is to maintain a strong community and enjoyment for the masses! Let us know if you landed anything good with your free packs.